Having a ventilation system in a warehouse is not sufficient to ensure an optimal level of safety. Whatever the products or equipment in storage, a gas detector is required to monitor larger gas leaks or any accumulations of toxic products in the air. Neglecting an accumulation of CO2, NH3, propane (C3H8) or any other hazardous products, and hazards associated with propane and battery-propelled lift trucks in warehouses can cause explosions, poisoning, and serious injuries to workers. Detekta Solution offers you a complete range of products for your safety and peace of mind for both industrial or commercial warehouses. The 301C controller ensures high-end safety with the continuous monitoring of toxic vapors, fuels, oxygen as well as any inherent hazards associated with these gases. The BW Clip Series of single-gas detectors is the most simple, reliable, and economic option to guarantee security, compliance, and productivity. E3Point detects toxic and fuel gases for commercial applications. It protects personnel and equipment with optimum performance and protection. The FSXs are fire and flame detectors equipped with a triple infrared multispectrum technology. 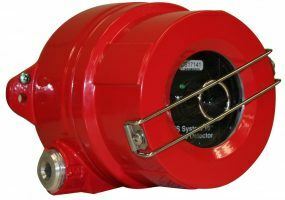 Conceived to be durable and practical, this device detects any hazards associated with exhausting gas from the wide range of targeted toxic fumes. Go for long-term reliability and save time and money with the GasAlertMax XT II. It is a smart, simple and inexpensive device that enables you to meet your compliance and security obligations. The GasAlert Micro 5 offers protection against 5 potential atmospheric risks, including those caused by oxygen as well as flammable and toxic gases. 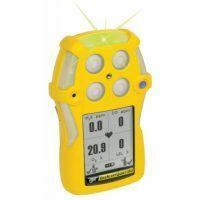 It is therefore a portable and unique gas detector in terms of versatility. Due to its reliability and its autonomy, the industrial device GasAlertMicroClip is the most popular portable multi-gas detector in the world. The device is available in mini format at low cost and is easy to use. With its miniature format, ease of use, reliable operation, and outstanding performance, the GasAlertMicroClip deserves its position as the most popular multi-gas detector in the world. Solid, reliable and complete, the GasAlertQuattro four-gas detector offers a full range of functionality in order to allow simple operation with only one button. While the HA20 Digital Controller offers simultaneous display and alarm functions for two transducers at a time, the HA40 operates for four transducers at a time. The HA71 digital controller works for up to 16 different inputs and its units provide up to 160 detection points to meet your needs in several types of applications.